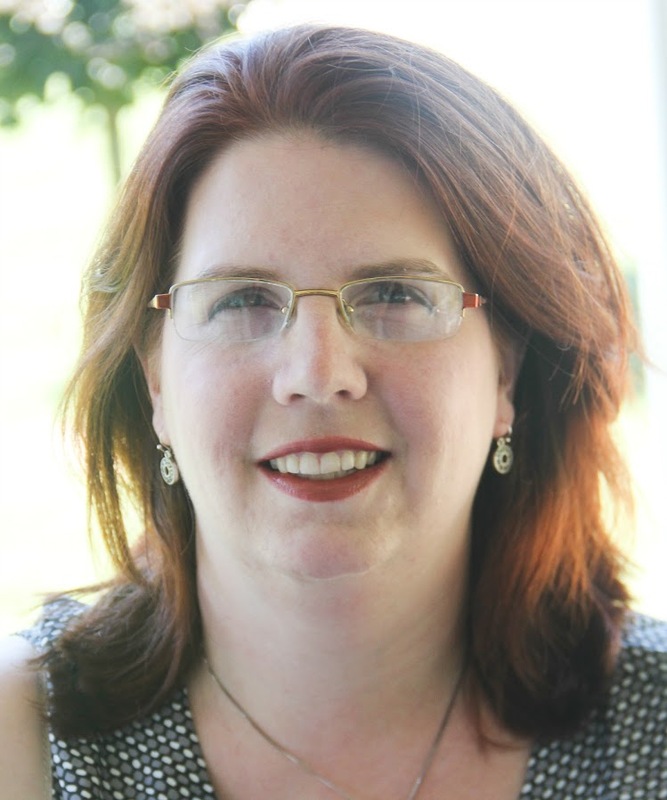 Aurora Lipper - a real live rocket scientist - has created Supercharged Science, a hands-on homeschool science curriculum covering everything from anatomy to astrophysics! Don't let the topic range intimidate you - the e-Science Learning Program is for all students, from as young as pre-K'ers to the oldest high schoolers. There's something here for everyone. 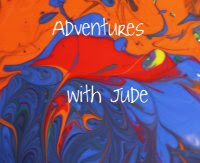 When we reviewed this program last year, Jude and Matthew did most of the experimenting. This year, Jude had another turn, but I was hoping that since our e-Science Premium membership included the high school level ($57/mo; their K-8 option is $37/mo), Damien (now a PK'er) and Luke (10th grade) would be able to benefit from the program. If you're using it as a standalone curriculum, there are two ways to use the program. One is to go topic-by-topic, starting with Unit Zero (an introduction to the e-Science program) and work your way through the 20+ units of the program this way. The other is sort the ideas by grade level - from PK/K to "Advanced" for high schoolers, and work within the topics you have access to each month. (If you'd like the entire grade-level curriculum "unlocked," again, an email request will make that happen.) I found this worked well for Damien, because it helped me find projects that were more geared toward him without having to wade through more advanced experiments that were more suited to Luke's level. It also winnowed down the concepts that were expected for that age level - for example, Earth Science that introduces the concepts of the stars and the moon, and Life Science that sticks more to identifying plant parts (root, stem, leaves, flower) than learning whether the plant is a monocot or a dicot. Supercharged Science can also be used as an adjunct to many curricula. (Click here to see a full listing of the curricula that the program has already matched with their units.) Luke is using one program that is on their list (Apologia's high school chemistry program), while Jude is using one that is not (Science 4 Us). 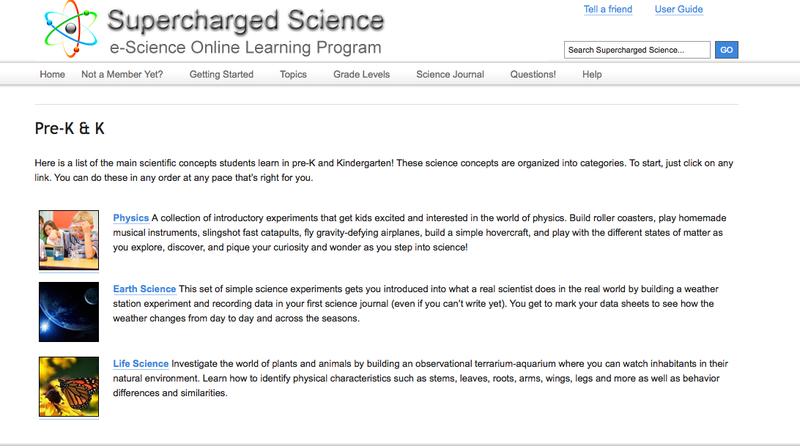 Supercharged Science is happy to create a correspondence chart for any curriculum upon request - you just need to send them the Table of Contents from your text. 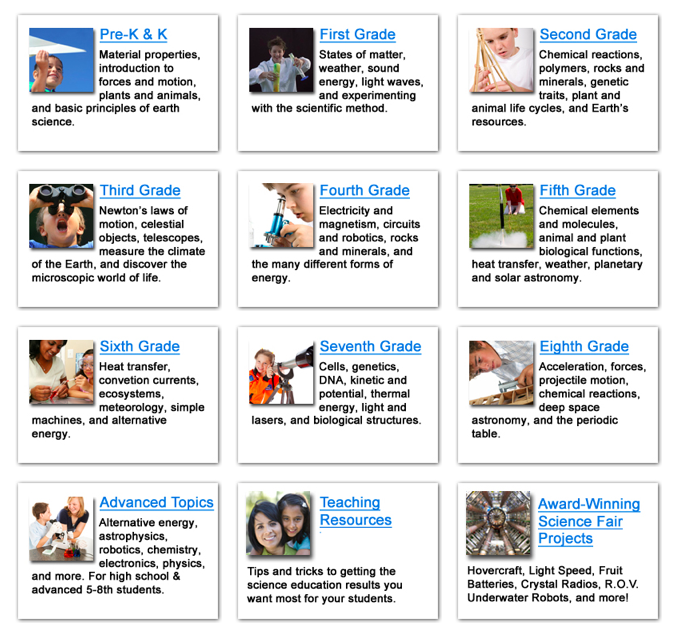 Since Jude's program is web-based and text-less, I just matched things up by topics -- for example, when we worked on Energy, I looked at units that taught energy to find experiments he would enjoy. When you join the program, you are given access to the first two units (100 experiments) and then two more units each subsequent month. However, if there is a unit you'd like access to sooner (for example, Luke's Apologia Module 2 corresponded with Supercharged Science Unit 13), all it takes is an e-mail to Supercharged Science to give you access to the units you need. In addition, Supercharged Science works not only with lots of different curricula, but simultaneously for all ages. You can see how there is overlap between the different grades. While the concepts begin as broad introductions and then become more detailed as the child progresses, you can see how Damien, Jude and Luke were able to do several science labs together. While Jude just helped with the experiment, I added depth for Luke by requiring him to complete the entire unit plus a formal lab report. The program seemed a bit awkward at the high school level. On one hand, the program was a good source of simple experiments that we could do at home, along with explanations of "how" and "why," but I don't feel the regular course goes far enough into scientific theory to consider a full high school course. There are "Advanced" texts, but in some cases, these are almost too much information - good for the student who has a passion for a particular scientific topic, but overwhelming for the average student. With that said, I do think it is worthwhile supplement for a child who learns better from video and hands-on explanations as opposed to textbook reading. Among the experiments we completed was one from the unit on Thermodynamics. Our experiment's question was "Which container of ice will melt faster?" Luke and I were both fairly confident that the black paper would trigger faster melting, but didn't share this with Jude. By using different color construction paper beneath the containers of ice, we were able to see how dark colors absorb thermal energy and light ones reflect it. He hypothesized that the black one would melt more because when he put his hand on the black paper it felt warmer to the touch. The container of ice on the black paper did indeed melt faster than the one on the white, proving this theory. 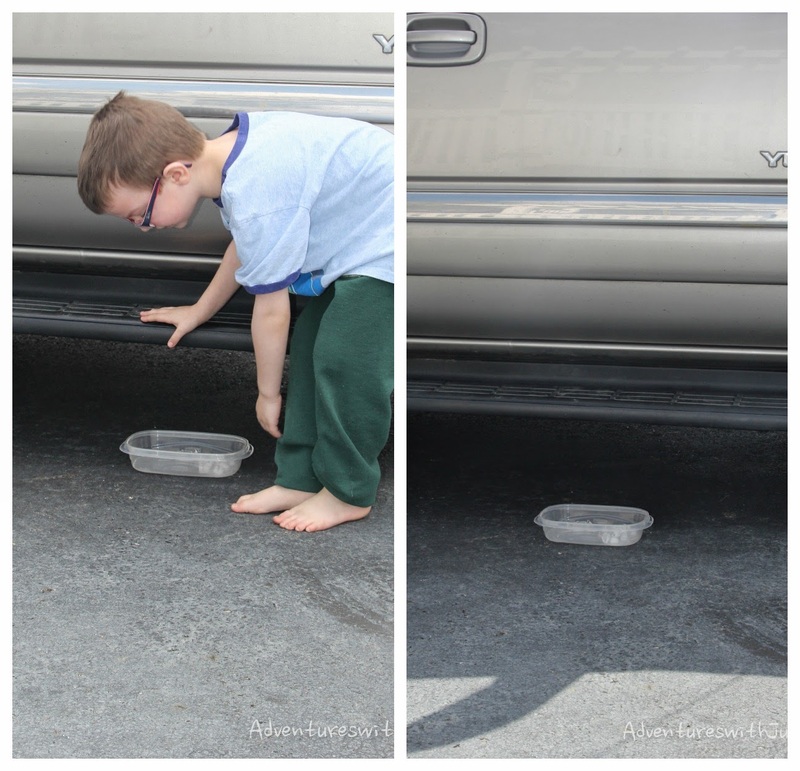 While we were at it, Jude decided he wanted to see what happened if you put ice on black asphalt but NOT in the sun. It melted even more slowly than the ice on the white. We learned was without the sun shining directly on it, it didn't get exposed to as much heat, or thermal energy, as the containers in direct sunlight, so the ice couldn't melt as fast. There are some slightly more "dangerous" ones geared to big kids, but we stuck to the simpler ones. Given Jude keeps asking, "What can I blow up?" plus has trouble focusing long enough to pay attention to in-depth directions, I figured it might be safer NOT to give him too much in the way of chemicals and stick to simpler experiments. Remember how I said Aurora was a real-live rocket scientist? It's true. She is a brilliant scientist who has worked for NASA and taught college level sciences. You'd think that would make this really boring. WRONG! She really believes that the key to getting (and keeping!) kids involved in science is to make it fun. She leads many of the videos in the program, and her enthusiasm really shines through. Normally the program costs $37/mo for the K-8 program, and $57/mo for K-12 access. Instead of paying for a full month up front, she's offering a special $1 deal that includes both full access to the program for a month and a DVD with extra programs. Aurora wants science to be something your child looks forward to and not see as a dreaded chore. Supercharged Science lives up to its promise of being a program that turns science upside down. Instead of reading about the idea and maybe doing an experiment, the experiments are a central part of the program and bring it to life! It's a program to intrigue a budding scientist, or to help really bring ideas home to an older student. 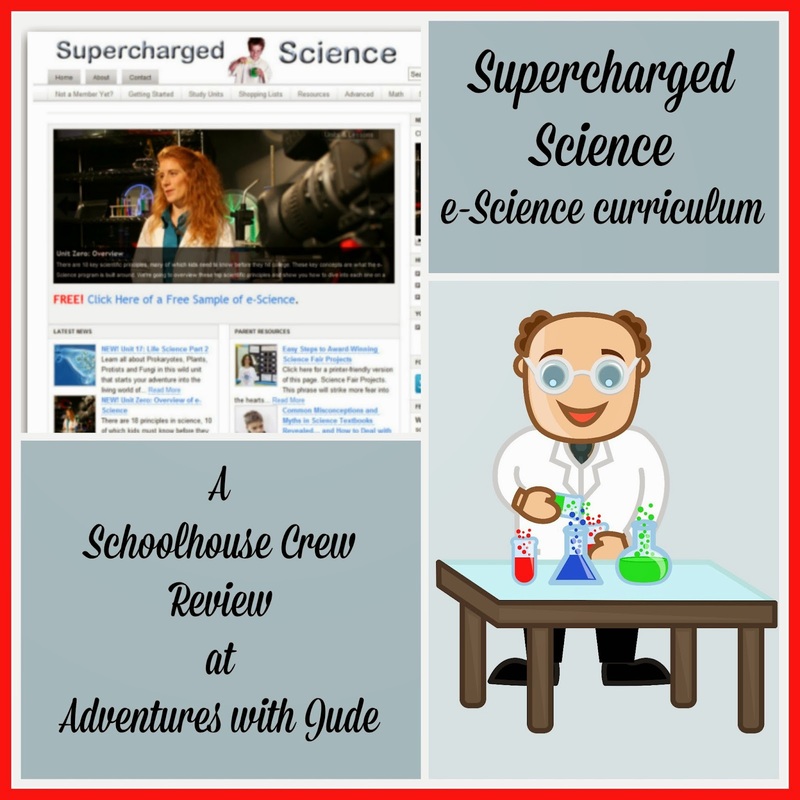 Our family is definitely super-charged about science because of this curriculum! Want to know what other young scientists thought about Supercharged Science? Click the banner below!